I don’t read a whole lot of non-fiction, and I especially don’t read a lot of short stories or essays. I usually find myself bored and missing an overarching plot-line. This book is an exception. I loved it. 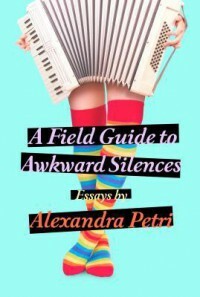 Alexandra Petri writes a series of essays chronicling the strange and awkward situations she gets herself into. It’s laugh-out-loud funny, entirely relateable and even thought-provoking. "Like anyone growing up after 1980, I always had the dim, nagging sense that I was supposed to be famous for something. A certain measure of fame just seems like our birthright these days, next to life, liberty and the pursuit of happiness. Food, shelter, Wi-Fi, and the sense that someone’s watching; these are the modern requirements for survival. The only thing more terrifying than the feeling you’re being watched is the feeling that you’re not. Privacy is just an uncomfortable reminder that you’re not a celebrity." I am a shy person and the idea of putting myself out there – auditioning for Top Model or going on national television to compete on Jeopardy! makes me ill just thinking about it. I hate being in awkward social situations and go out of my way to avoid them. I do not enjoy meeting new people. Alexandra is my complete opposite. She puts herself out there risking embarrassment and ultimate humiliation just so that she’ll have something interesting to write about. Her experiences are hilarious and many times cringe worthy. "I don’t know if anyone has ever attempted to kiss you through the mesh of a Jabba the Hutt suit, but it is definitely a unique experience. Let’s just say it’s impossible to make any headway. For better results, you could try to tongue-kiss a fully-dressed beekeeper." Her writing style invites you into her head to experience all the emotions and anxieties that she did. The book reads like she’s your best friend and she’s relating her newest crazy experience to you. That makes the book so relatable. She doesn’t gloss things over and that makes her stories all the more real to the reader. Despite her repeated humiliations, she offers a perspective on life that is inspiring. Who cares how silly you look? Who cares what the person watching you might think? If there’s something you want to do, do it! You just might become a pun star, or even a whistling champion. While humorous, her essays are also introspective and insightful without being preachy or pretentious. "I suppose the strange selectivity of memory is half its charm. Our lives are burning houses, and we come running out with whatever we can carry." Overall, I very much enjoyed this collection of essays. I laughed out loud throughout and she gave me some food for thought as well. This would be a fantastic beach read or palate cleanser between “heavier” reads. I look forward to reading more from Ms. Petri in the future. The Wrath and the Dawn is a retelling of One Thousand and One Nights. Khalid, the Caliph (or king) marries a new bride each night and then has her put to death each dawn. One of these unfortunate brides is Shahrzad’s friend and so she volunteers herself as a bride with the intention of killing the caliph and avenging her murdered friend. I found this book a little bit hard to connect with at first but after a few chapters I was hooked and it just kept getting better. Shazi (Shahrzad) is a strong-willed and impetuous and goes in with a pretty flimsy plan, in my opinion. She hopes to stay her execution by telling the caliph a story but leaving it unfinished so that he will want to come back the following night to continue it. She assumes that the caliph is a heartless monster who just enjoys using girls and then killing them. She spares no thought for why he might be doing these awful things, or if there might be some larger explanation. Her single-minded plan turned me off a little bit and I had a hard time connecting with her at the start. Shazi soon starts to realize that things are not just black and white, they are much more complicated than they first seem. Khalid was also hard to connect with at the start and I think that parallels how Shazi felt about him. He’s built these walls around himself to protect the outside from the monster he believes himself to be. He holds everyone at arms length and keeps his secrets close, making it hard for Shazi, or anyone really, to develop any kind of a relationship with him. I really loved how Khalid’s personality is more quiet. He’s powerful but he doesn’t flaunt his power and he’s a man of few words. He communicates as much with his eyes and body language as he does with his words and I loved that. It’s nice to have a male protagonist that isn’t in your face with their ego, over the top with their professions of love, or a clone of every other male in the book. As the story continues, Shazi and Khalid find themselves growing closer despite their situations. Their relationship felt very organic to me. There’s no insta-love and there’s nothing easy about the relationship. Shazi feels a huge amount of guilt about her growing feelings for Khalid. She’s betraying her original purpose for marrying Khalid and in turn betraying the memory of her murdered friend and her family. Khalid, on the other hand, feels like he’s betraying his people by falling for Shazi and is torn between his duty to his people as their king, and his own wants and needs. Their relationship is complex and understated and beautifully written. There are some swoon-worthy moments, but they are not over the top. The romance is very well done. Eventually, all secrets are revealed and that’s where things really got good. I was so happy that the author didn’t draw things out just for the sake of drama. The writing is really beautiful and flows nicely – as you would expect of a story about a story. The descriptions and world-building are wonderful. The descriptions of the clothing, the architecture, the climate, the room decor – it all makes this book very atmospheric and brings the reader there. Overall, I loved this debut and can’t wait for the second book in the series. Despite a somewhat slow start, the great romance, strong characters, a great supporting cast, beautiful writing and detailed world-building make for a fantastic start to this series. Note: I received this book for free from Penguin's First to Read program in exchange for an honest review. This does not affect my opinion of the book or the content of my review. Cuckoo Song is an atmospheric and creepy fairy tale with exquisite writing and complex relationships. Triss wakes up unaware of who or where she is. As her memory slowly returns, she continues to feel like something isn’t right, although she’s not sure what. Her parents treat her as if she’s ill and her sister treats her like she’s a monster. It’s best to read this book without knowing much more than that. The first part of the book reads like a creepy mystery. I didn’t understand what was going on with Triss any more than she did and that made the story very compelling. The more we find out, the more questions there are. It’s not long, though, before the truth about Triss is revealed and once it is, the story evolves into a dark fairy tale with sinister villain and ominous situations. The relationships between the characters are worth a whole post of their own. Triss’s family has never fully recovered from the loss of her older brother during WWI. They deal with their grief in unhealthy ways and try to pretend that things are normal. Triss suffers because her parents constantly treat her as if she’s ill as a way to protect her from the dangers of the world. Meanwhile, younger sister Pen is always on the outside. Her parents ignore her and her sister dislikes her. As the story develops, so does the relationship between Triss and Pen. I didn’t grow up with a sister near in age so I’ve never experienced that type of relationship, but the bond between the sisters was so well written, I feel like I understand. The author perfectly captures how you can love your sibling but still sometimes not like them very much – how you can be jealous of them or say horrible things to each other, yet you still love them and fear for them and ultimately want them to love you back. There were some really painful moments between the two, but also some really sweet and poignant moments. The pace is rather slow but steady. There are a couple of exciting, faster-paced scenes toward the end of the book, though. This is definitely not a book that you’ll race through. Instead, it’s one that will immerse you in an atmospheric tale. The writing itself is exquisite. It’s charming and sometimes a little ethereal and is overall superb. In terms of age, this book has some definite crossover appeal. Though it’s creepy, there’s nothing graphic. I wouldn’t hesitate to let my 8 year old read it, though I don’t think he would completely appreciate all of it and it’s above his reading level. It’s also sophisticated enough to be enjoyed by teens and even adults who like a good fairy tale. Overall, I really enjoyed Cuckoo Song. I would have liked it to move a little bit faster in a couple of places, thus the 4 star rating, but the superb writing style, complex relationships and interesting take on fairy lore make this a book that I highly recommend. This book was so much fun! Claudia’s twin brother, Reese, embarrassed her at school in the lunch room in front of their entire class. Claudia decides she needs to humiliate Reese the same way he humiliated her. Thus begins the war: there’s some stinky fish, an embarrassing music video, crazy haircuts and an online trouncing. The book is told from Claudia’s point of view but as a series of interviews she conducts with her brother, her friends and her babysitter. Also mixed in are photos, screenshots of online chats and text messages between her parents. Rodkey perfectly captures that age where kids are starting to come into themselves. That age where we have first crushes, where what other people think is so important, where an embarrassing incident can either crush you or make you stronger, and the most responsibility we have is for our homework and the people we control in a video game. At the same time, he captures the mannerisms, speech and slang of this age group perfectly. Claudia and Reese could absolutely jump off the page and fit right in at my son’s school. They were authentic and funny and sounded and acted like kids without the author talking down to his audience. The plot is funny and engaging and brought back memories of tiffs between my brothers. While they never put dead fish in each other’s bags, and online games like Meta World weren’t around yet, the idea is the same and I was somewhat nostalgic while reading. Kids will find the pranks hilarious. As a parent, the snippets of text message between the Tapper parents had me rolling. Like many parents, they want to be involved but are really rather clueless despite their best efforts. The format of the book lends itself well to the MG reading group. The pictures and screen shots add a lot of humor but also break up the story into pieces which will keep kids interested. This book will have wide appeal – both girls and boys will find characters to identify with. It’s definitely not a “girly” book even though the account of the events is being compiled by Claudia. It will also appeal to both avid and reluctant readers. The format lends itself well to reluctant readers because the pictures and screen shots add a lot of humor and also break up the story into pieces which will keep kids interested. 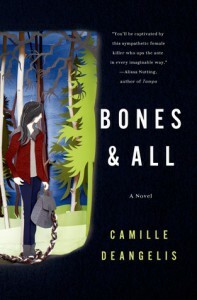 Stronger readers won’t be disappointed by the strong characters, great dialogue and quick pace. I have a quick side note about age. The twins in the books are 12 years old. The book is listed on some sites as being for ages 8 and up. My son is 8 and while there’s nothing inappropriate in the book, it was a little bit above is reading level. He could read it but some of the nuance and humor was lost on him. Some very mature 8 year old readers may appreciate this more than my son. He enjoyed it but not, I suspect, as much as slightly older kids will. Overall, I really loved this book. I was thoroughly entertained. It was funny and made me a little bit nostalgic. There are some sweet moments at the end between Claudia and Reese that show how siblings can love each other even when they’re so different and even after they make mistakes. There are also some great messages here. Cyberbullying is addressed without preaching or beating you over the head. There are also nice lessons about how doing something not-so-nice can sometimes backfire, and about how, despite it all, the bond between siblings can be an amazing thing. This book was sooo good! Definitely one to preorder if you haven't already! 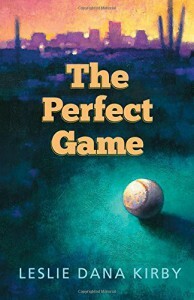 I love a good legal thriller so I was really excited to read The Perfect Game. The wife of a famous baseball star is murdered. The two main suspects are her husband, Jake, and her sister, Lauren. Jake and Lauren bond over their grief and a shared love of baseball which just complicates everything. The media takes full advantage and starts to paint Lauren as the jealous sister who wanted her sister's life. Did Lauren really murder her sister? I enjoyed this book but there were a couple of things lacking for me. First, Lauren does some incredibly stupid things and is definitely lacking in common sense. Why in the world would you ever start a romance with your murdered sister's husband?? Even if there's an attraction there, it's inappropriate. As a character, she seemed very intelligent and seemed to have a good head on her shoulders so her relationship with Jake didn't seem to fit. Then again, grief can change how a person would normally act, so there's that. Second, I did not like the ending. The culprit got what they deserved but the way it happened didn't sit well with me. I didn't feel like what happened was in character for anyone involved. I felt like the details of the ending were there more for shock value than as a real resolution. Despite those things, the book was enjoyable. It moved along quickly and there were a couple of nice twists. I did figure out what was going on pretty early on, but that didn't hinder my enjoyment at all. Fans of baseball will enjoy some of the scenes and conversations but those who are not fans, like myself, won't be turned off by them. The courtroom drama is not quite on par with legal thriller authors like John Grisham but it was still very exciting and those were my favorite scenes. Overall, this was a solid read that I really enjoyed. Exciting legal drama, murder mystery, quick pace and some interesting twists. This is worth picking up if you enjoy the genre. Lacy Eye: when you willfully cover the truth with something prettier than it really is, despite evidence to the contrary, like putting a pretty piece of lace over your eyes - usually a form of denial. Lacy Eye opens on Hanna three years after a savage attack in her bedroom leaves her disfigured, her husband dead and her daughter's boyfriend, Rud, in prison for the crime. Most of the rest of the family and neighbors believe her daughter, Dawn, was involved as well. Hanna is struggling to remember the events of that night so she can testify at Rud's appeal, all the while convinced that Dawn is innocent. The mystery surrounding the events is compelling and at times, even the reader doesn't really know if Dawn was involved or not. I definitely had my suspicions, but didn't know for sure until Hanna did. Hanna's daughter, Dawn, has always been an awkward child because of an eye condition. She endured teasing from other kids and everyone refers to her as "Ding Dong Dawn." Her own family even acknowledge that she's odd and doesn't quite fit in. As an adult, Dawn is a strange woman and has sometimes bizarre reactions to people and situations - maybe because of her childhood, maybe not. That's one of the questions this book poses. How much of what we become is because of the things that happen to us as children, how much is because of the choices we make and how much is just because that's how we were born? Throughout the book we're pretty much inside Hanna's head - what she thinks, what she remembers - and it makes for some slow reading. There's little dialogue. Instead, it's mostly inner monologue. On one hand, that allows the reader to really see Hanna's insecurities and regrets and understand her. It also kept the reader from understanding the truth until Hanna did. On the other hand, this makes the pace of the book incredibly slow and even boring in parts. This was a pretty disturbing read about how denial can affect a person - a parent in particular. It's about how even through all the evidence, a parent only wants to believe the best about their child. Hanna was a hard character for me to like. I wanted to just shake her and make her realize what was right before her eyes. That just shows the extent of her denial and how it shadowed her. Overall, this was a good read, but not great for me. I liked the mystery element and I liked finding out what really happened as Hanna remembered. I also liked the questions posed. However, I did not like the pacing and found this book incredibly slow and sometimes boring. I also found it hard to connect with the characters. I liked it but didn't love it. Maddie, Ellis and their friend, Hank are wealthy socialites who live a life of luxury. They are spoiled and rude and entirely unlikable. After making the perilous journey by ship to Scotland (during war-time I might add) the two men pretty much abandon Maddie while they hunt for the elusive Loch Ness monster. Throughout the rest of the book we follow Maddie as she turns from a spoiled, pampered brat to a strong woman who develops new friendships, learns compassion for others and discovers what true love is really like. Readers looking for a story with a great setting and lots of character development will enjoy this one as I did. The book is relatively slow moving. There's not a whole lot going on in terms of plot except Maddie getting to know the locals, and herself. Her wealth and privilege have sheltered her from most of the horrors of war and her realizations of how the other half lives is staggering for her. As the book progresses, Maddie slowly turns from a spoiled socialite into a woman who cares for others and wants to help. She starts to understand the ridiculousness of the world she used to live in. 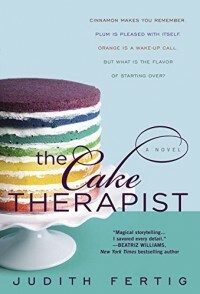 Her husband, Ellis, and their friend, Hank, have no such epiphanies so when they return their scenes are increasingly uncomfortable for both Maddie and the reader. I especially loved the setting. The descriptions of the countryside, the people and even the rooms in the inn really make you feel like you're there with Maddie. You can feel the cold, see the water, the castle, the bomb shelter. There were a couple of things I didn't really like. First, the romance here didn't really feel as developed as it should have. We go from lots of glances and a couple of words to full on bedroom scene with not a whole lot of development in between. I wouldn't call it insta-love, but I would have liked more. Second, the ending was all a little too neat for me. All the loose ends were wrapped up in a pretty bow and I just wasn't buying it. Overall, despite those things, I really enjoyed this book. I loved reading about Maddie's personal journey. I loved some of the supporting characters and really loathed others - as the author intended. The romance was sweet and there's a happy ending which is always nice. I loved the descriptions and setting and the general atmosphere. Over the couple of days it took me to read it, I was always eager to pick it back up. Readers looking for an adventure about looking for the Loch Ness monster will be disappointed. Readers looking for an in-depth story about WWII will be disappointed. However, readers who enjoy character development, a great setting, historical fiction and light romance will enjoy this one. I recommend it. Do you love reality tv shows like Dance Moms, Toddlers & Tiaras and pretty much any other reality show on TLC? Do you tend to laugh at inappropriate times or at inappropriate things? Do you like irreverent humor? Can you find humor in stereotypes and general political incorrectness? If you answered "Yes!" 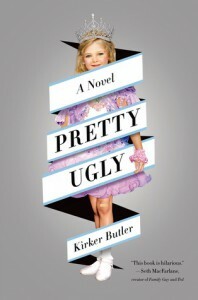 to any of the above questions, I highly recommend Pretty Ugly. Like a train wreck, this book is so wrong but I just couldn't look away. It's filled with horrible people doing and saying even more horrible things, and I loved every minute of it. In fact, throughout the book, I found myself gasping and covering my mouth in horror while trying very hard not to laugh. This book is filled with moments that will cause you to burst out laughing while at the same time feeling guilty that you find it so humorous. No topic is off limits here: pageants, eating disorders, pregnancy, Jesus, race, drug abuse, adultery, reality television. You name it, it gets skewered. Overall, I highly enjoyed this and recommend to anyone who enjoys this type of humor. The author has written for shows like Family Guy, The Cleveland Show and Galavant. That should give you an idea of the type of irreverent humor and satire that Kirker Butler is known for. If you don't like those shows, you probably won't like this book. However, if you love that kind of tongue-in-cheek humor like I do, I think you'll find that Pretty Ugly is the best type of guilty pleasure. This was a really sweet book about the power of friendship and about being yourself. The story itself is reminiscent of old fables and fairy tales with a witch and a curse and a boy with wings, but is set in present day which makes this book very accessible to young readers. The writing is fantastic and draws you into the story right from the start. I loved Twig and how smart she was. You can really feel how lonely she is before Julia moves in next door. The friendship that develops between the two will ring true to Middle Grade readers. There's a hint of romance as well, which female readers will love, but nothing inappropriate for the age group. I suspect this book will appeal more to female readers in general. The main friendship is between two girls, the main character is a girl, and there's really not enough action to satisfy many of the boys I know. Overall, I really enjoyed this modern fairy tale and loved that female friendships were portrayed in a very healthy way. Middle Grade readers looking for something with a hint of magic will enjoy this one. Note: I received a copy of this book for free via the publisher in exchange for my honest review. Seeker is quite the thrill-ride. It's an action packed fantasy with some steampunk-ish elements and a touch of mystery. I thoroughly enjoyed it but there were a couple of issues that kept this from being a 5 star read for me. From the start, Seeker is exciting. There are great fight scenes and there's always something happening. We jump right from one event to the next at a fast pace which definitely kept me reading. I had to see what would happen next. There's nothing overly graphic, but there's quite a bit of violence. I loved these characters! I think it's refreshing to see characters who react to crazy situations in realistic ways. Without giving anything away, these characters all find out some horrible things about their families and about what being a Seeker really means. As a result, they each turn to various forms of self-destructive behavior to cope. They're all strong characters but are still vulnerable teens trying to figure out what it is they want and how to deal with what their reality is. The book is split into three parts. The first is about Quin, Shinobu and John training and testing to become Seekers and the direct aftermath. The second is an "Interlude" in which we are shown flashbacks that fill in some of the back story. The third is set a year and a half after the first part. Many reviews I've read have had a problem with this. For many readers, it felt disjointed and hurt the flow of the book. While I can see their point, I would encourage readers to give it a chance and push through it. While it does slow the pace a little bit, by the end of the book you'll realize that you have all the pieces you need to get to that "Aha!" moment when everything fits together. My biggest problem with this book is in the world-building. It really needed so much more to flesh it out and make it seem completely real. If asked when this book was set, I don't know that I could give you a good answer. Maybe sometime in the future? Maybe an alternate present-day? I'm not really sure. I wanted to know so much more about the history of the Seekers and why they were started to begin with. We're told it's such an honor and about these special families who are Seekers, but we don't really know anything else. We're shown hints here and there about the history but nothing is explained enough for me to be satisfied. I'm holding out hope that these hints were just seeds and that they'll grow into more as this series continues. Overall, I really enjoyed this. Tons of action, realistic characters that I loved and an interesting plot that kept me guessing. I wish there was more detail in the history and general world-building but it didn't bother me enough to take away from my general enjoyment of the book and I suspect we'll learn more in the next book. I do not agree with the comparisons to The Hunger Games and A Game of Thrones, but I still think it's worth a read if you're looking for some adventure with family drama and fantasy elements. This book is the darkly creepy coming-of-age tale of Maren, a sixteen year old girl who literally eats anyone who shows her any affection. Maren's first victim, her babysitter, comes when she is only a baby. Her other victims are all boys who show an interest in her as she grows older - a boy from camp, the son of her mother's boss, etc. These boys are presumed missing and Maren's mother quickly packs them up and moves them away before the truth is realized. After years of moving, Maren's guilt-stricken mother abandons her on her 16th birthday. Maren embarks on a journey to find the father she's never known and meets others with her odd proclivities along the way. This is an entertaining, though disturbing, read. I was pulled in right away and read it quickly. I wanted to know where Maren would end up, if she would overcome her compulsion to eat people, what kind of relationships she would be able to build. Maren is really struggling to find herself. How can she be a good person when she does such horrible things? How can she learn to live with herself? Can she ever have long-lasting, meaningful relationships with people? Can she accept love and affection from someone without ruining it? I love that Maren is such a sweet and good character even though she does these horrible things. The plot was entertaining and the characters each original and interesting. There are no stereotypes here. All are flawed and just trying to make their way in the world - some with more decency than others. The ending resolves all of the major plot points but still leaves Maren's story open enough for the reader to speculate, or for the author to write a sequel. This book can be read on multiple levels. I think many readers will enjoy this solely for its creep factor and because it's such an original idea. This book will also appeal to the thinking reader. By that I mean the reader who is looking for more than just entertainment. There are lots of discussion topics here: the loneliness of adolescence, losing yourself to love, the roles our biology and genes play in who we are, the ethics of eating flesh. This would be a fantastic book for group discussions. Overall this book is strange and disturbing, entertaining but also thought provoking and relatable. It will appeal to those looking for something new in the horror genre while also appealing to those looking for deeper discussions. I would recommend to anyone looking for something different.